This week I have been focusing on me time once Blake is down for a nap or in bed. I have made sure that I am using my me time doing something I love rather than just scrolling through facebook or instagram. 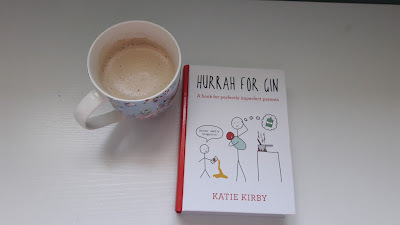 One of my favorite hobbies is reading and this week I've spent time reading Hurrah For Gin, which i have now finished and enjoying a good mug of coffee (gingerbread latte). I've been making time to just enjoy laying back in the bath and using a lush bath bomb has been a bonus. Another guilty habit is Netflix and I have just finished watching Vampire Dairies so need to find something new for me to watch. Just being able to sit down and enjoy a glass of wine and a bar of chocolate once Blake is bed have been bliss. What are your favorite me time moments?